In a universe as vast as it is mysterious, a small but powerful force has existed for centuries. Protectors of peace and justice, they are called the Green Lantern Corps. A brotherhood of warriors sworn to keep intergalactic order, each Green Lantern wears a ring that grants him superpowers. But when a new enemy called Parallax threatens to destroy the balance of power in the Universe, their fate and the fate of Earth lie in the hands of their newest recruit, the first human ever selected: Hal Jordan (Ryan Reynolds). Hal is a gifted and cocky test pilot, but the Green Lanterns have little respect for humans, who have never harnessed the infinite powers of the ring before. But Hal is clearly the missing piece to the puzzle, and along with his determination and willpower, he has one thing no member of the Corps has ever had: humanity. With the encouragement of fellow pilot and childhood sweetheart Carol Ferris (Blake Lively), if Hal can quickly master his new powers and find the courage to overcome his fears, he may prove to be not only the key to defeating Parallax...he will become the greatest Green Lantern of all. 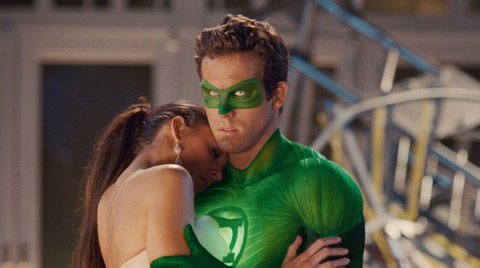 ​Ryan Reynolds as Hal Jordan - Green Lantern: A former captain of the United States Air Force and test pilot for the Ferris Aircraft who becomes a Green Lantern and the first earthman ever inducted into the Green Lantern Corps. Mark Strong as Thaal Sinestro: A Green Lantern and Hal Jordan's mentor. Strong affirmed that the film will follow the origin story, "the film closely follows the early comics. Sinestro starts out as Hal Jordan’s mentor, slightly suspicious and not sure of him because obviously Hal is the first human being who’s made into a Green Lantern. He's certainly very strict and certainly unsure of the wisdom of Hal becoming a Green Lantern". Green Lantern Movie Prop Peplicas, Figures, Toys and Collectibles! Green Lantern's Power Battery cast in metal! 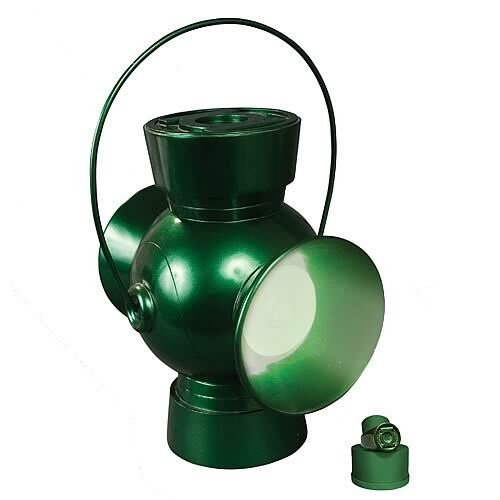 The replica comes with a one-size-fits-most" size 10 metal Green Lantern ring that lights up the lantern for 30 seconds when the ring is pressed against the face of the lantern. A resin stand is also included to display the Green Lantern ring when it's not in use. This piece can also be activated by an on/off switch and is powered by 3x "AA" batteries and LED bulbs, all of which are included. This detailed prop replica measures approximately 12-inches tall x 9 3/4-inches wide x 8-inches long, not including the handle. Packaged in a 4-color box, the Green Lantern Power Battery Prop Replica also includes a 4-color certificate of authenticity. In blackest day, in brightest night/ Beware your fears made into light / let those who try to stop what’s right/ burn like my power. Sinestro's might. 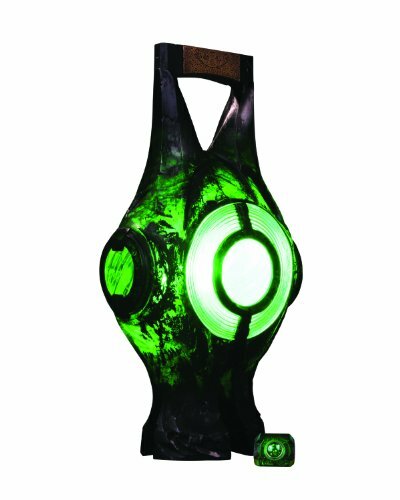 The latest addition to the JLA Trophy Room is the must-have replica for any Green Lantern fan. 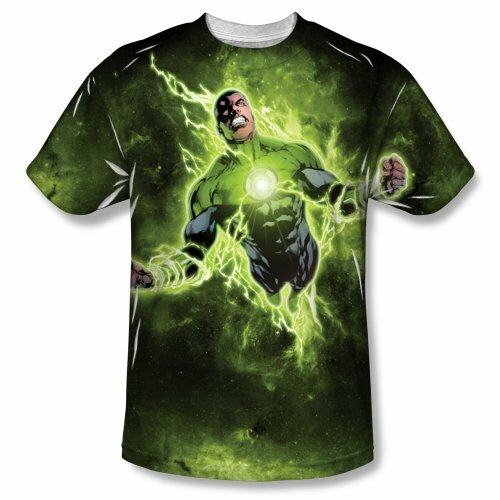 As a companion piece to other DC Direct Green Lantern Power Batteries – and in light of the events of Blackest Night – the Sinestro Power Battery is sure to add a little fear into the heart of any hero. The Sinestro Power Battery Prop Replica is 11.5” high x 7.25” wide x 10” deep is made of resin and comes with a ring. Packaged in a 4-color box, with a 4-color Certificate of Authenticity. Limited Edition. “In brightest day, in Blackest Night, No evil shall escape my sight Let those who worship evil's might, Beware my power- Green Lantern's light.” In a vast and mysterious universe, a small but powerful force has existed for millennia. Protectors of peace and justice, they are called the Green Lantern Corps. Cosmic warriors sworn to keep intergalactic order, each Green Lantern wears a ring that grants superpowers. When a new enemy threatens to destroy the balance of power in the Universe, the fate of the Green Lanterns and of the Earth lie within the hands of the Corps’ newest recruit – the first human ever selected: gifted but cocky test pilot Hal Jordan (Ryan Reynolds). With determination and willpower, he possesses one thing no member of the Corps has ever had: humanity. Jordan must quickly master his new powers and find the courage to overcome his fears to defeat the enemy and become the greatest Green Lantern of all. This full-sized, light-up power battery prop replica was created from a cast of the actual prop used in the movie. 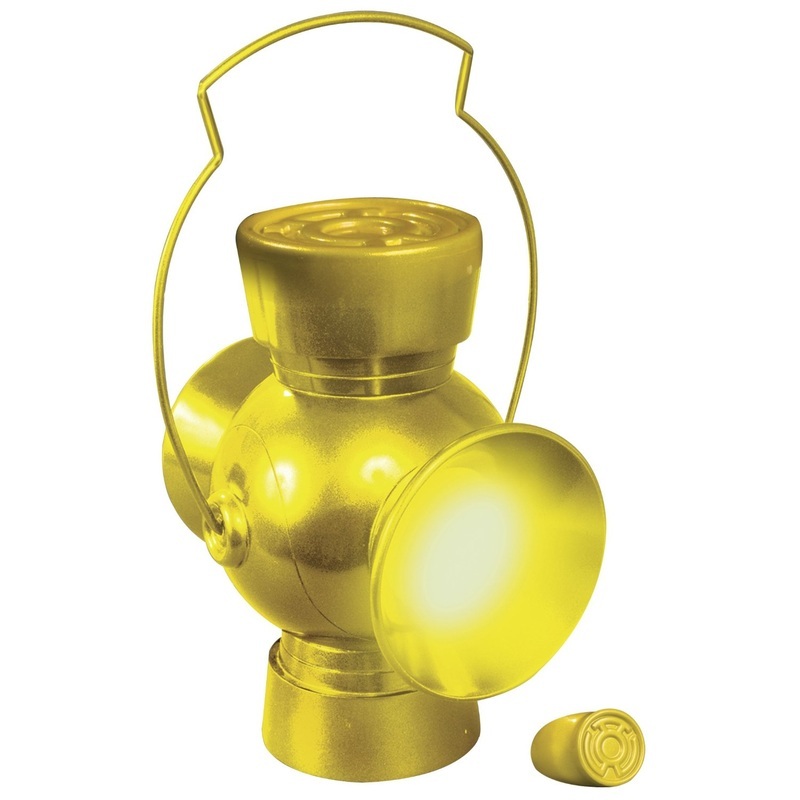 The power battery also comes with a Green Lantern ring that lights up the lantern when the ring is pressed against the face of the lantern. This hand-painted, cold-cast porcelain prop measures approximately 15” high x 7.5” wide x 5” deep, with the ring a men’s size 14. Packaged in a 4-color box. Limited edition of 2500 pieces. Sculpted by Dave Cortes. “In brightest day, in Blackest Night, No evil shall escape my sight Let those who worship evil's might, Beware my power - Green Lantern's light.” In a vast and mysterious universe, a small but powerful force has existed for millennia. Protectors of peace and justice, they are called the Green Lantern Corps. Cosmic warriors sworn to keep intergalactic order, each Green Lantern wears a ring that grants superpowers. When a new enemy threatens to destroy the balance of power in the Universe, the fate of the Green Lanterns and of the Earth lie within the hands of the Corps’ newest recruit – the first human ever selected: gifted but cocky test pilot Hal Jordan (Ryan Reynolds). With determination and willpower, he possesses one thing no member of the Corps has ever had: humanity. Jordan must quickly master his new powers and find the courage to overcome his fears to defeat the enemy and become the greatest Green Lantern of all. 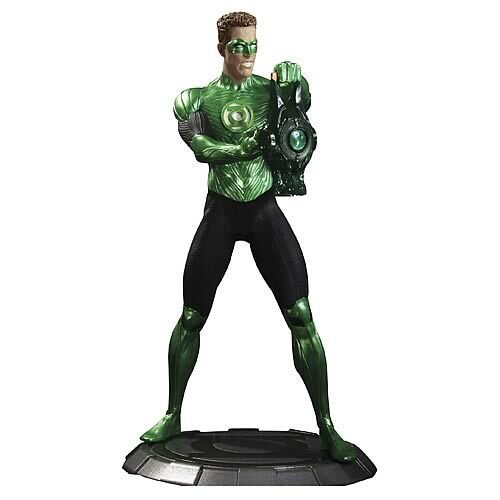 This hand-painted, cold-cast porcelain statue of Hal Jordan and his lantern measures approximately 14.5” high x 8” wide x 9” deep and is packaged in a 4-color box. Limited edition of 4000 pieces. “In brightest day, in Blackest Night, No evil shall escape my sight Let those who worship evil's might, Beware my power- Green Lantern's light.” In a vast and mysterious universe, a small but powerful force has existed for millennia. Protectors of peace and justice, they are called the Green Lantern Corps. Cosmic warriors sworn to keep intergalactic order, each Green Lantern wears a ring that grants superpowers. When a new enemy threatens to destroy the balance of power in the Universe, the fate of the Green Lanterns and of the Earth lie within the hands of the Corps’ newest recruit – the first human ever selected: gifted but cocky test pilot Hal Jordan (Ryan Reynolds). With determination and willpower, he possesses one thing no member of the Corps has ever had: humanity. Jordan must quickly master his new powers and find the courage to overcome his fears to defeat the enemy and become the greatest Green Lantern of all. 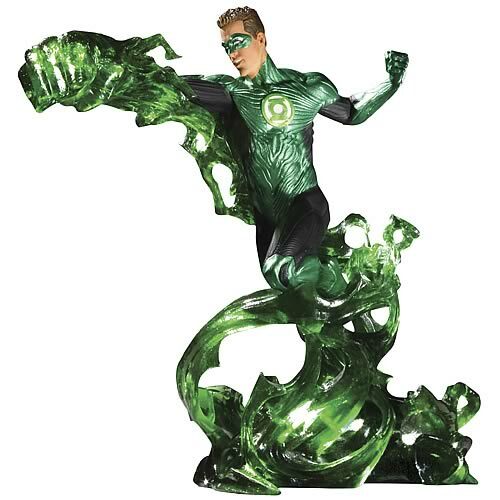 This hand-painted, cold-cast porcelain statue of Hal Jordan forming a giant fist of emerald energy measures approximately 9.34” high x 6.5” wide x 13” deep and is packaged in a 4-color box. Limited edition of 2500 pieces. 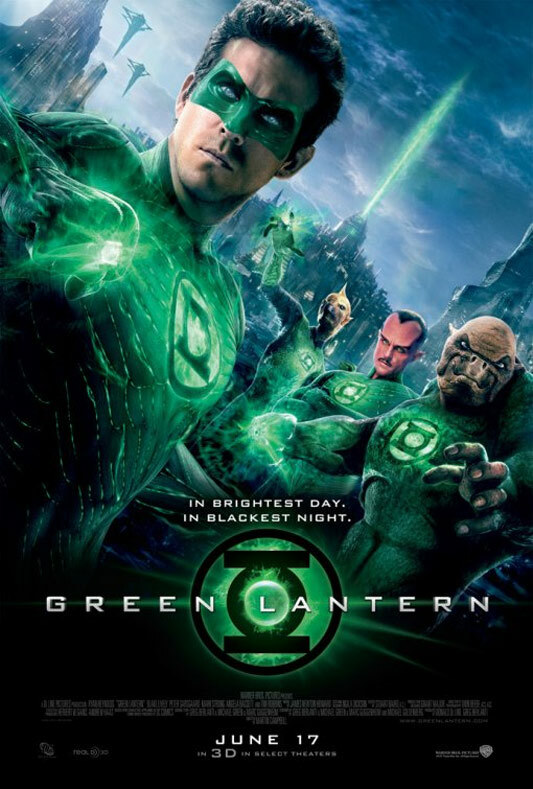 Green Lantern is the name of several superheroes appearing in comic books published by DC Comics. The first (Alan Scott) was created by writer Bill Finger and artist Martin Nodell in All-American Comics #16 (July 1940), and the best known is Hal Jordan, created by John Broome and Gil Kane in Showcase. Each Green Lantern possesses a power ring that gives the user great control over the physical world as long as the wielder has sufficient willpower and the strength to wield it.